Potatoes are not only delicious, but they are also very useful. Potatoes provide just the right amount of nutrients and moisture to rose cuttings, allowing them to develop healthy roots. 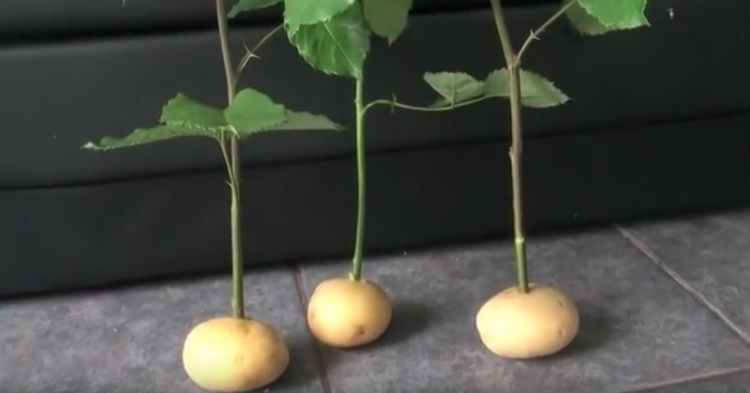 If you have a particular rose that you love and want a second or third for your landscape or want to give a great gift, consider propagating with a potato. This project is easy enough for the novice gardener and attractive to anyone who wants to save money on their garden budget.